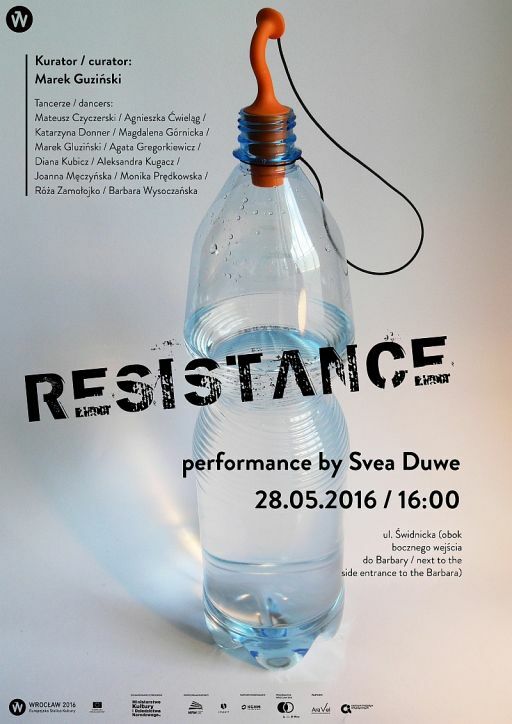 Come to Świdnicka Street (near side entrance to Barbara) on next Saturday, 28 May at 4:00 p.m. for RESISTANCE - a performance by Svea Duwe, an artist from Dresden, accompanied with dancers and actors connected with Wrocław scene. 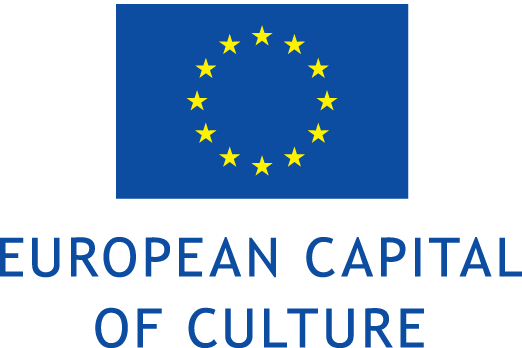 The event is organised by A-i-R Wro Artistic Residence Programme / European Capital of Culture Wrocław 2016 in cooperation with Centre for Artistic Technologies. A group of dancers appears in the public space. They move with bottles filled with water, attached to their bodies. It is a very delicate situation - the pressure inside the bottles increases during movement, and if it exceeds a threshold, the corks pop and the water spills around. By moving slowly and carefully, the group will perform a choreography composed of gestures and movements related to the subjects connected with our society. The dance is supposed to reflect happiness, aggression, suffering, consumption and segregation. 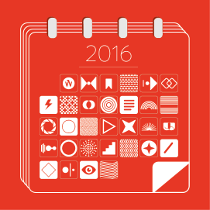 Water is a perfect metaphor, which starts a network of various references and suggestions. Its weight in the bottle stops movement, just like social norms and roles can stifle personal development; however, the water and pressure also symbolise strength and energy. What is the most pleasant in the performance is the element of surprise: like in a game, no one knows when the corks are going to pop, but the decision of the dancers to cause the explosion may be caused by aggression. The dancers will balance between resisting the internal or external pressure, but the resistance itself is an explosive and quite humorous social declaration. RESISTANCE is a declaration of artistic freedom in the time of the society on the horizon of numbness and torpidity. 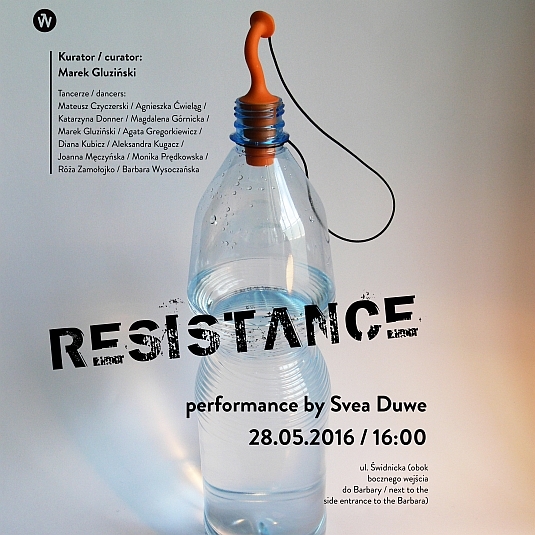 RESISTANCE is a project by Svea Duwe, a German visual artist and performer, prepared together with Marek Gluziński, Ola Kugacz, Agnieszka Ćwieląg, Katarzyna Donner, Magdalena Górnicka, Agata Gregorkiewicz, Diana Kubicz, Monika Prędkowska, Róża Zamolojko, Barbara Wysoczańska, Joanna Męczyńska and Mateusz Czyczerski, organised as part of the A-i-R Wro Artistic Residence Programme / European Capital of Culture Wrocław 2016. 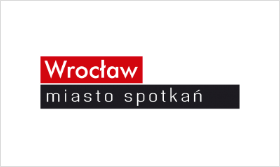 The A-i-R Wro Artistic Residence Programme was financed from the funds of the Minister of Culture and National Heritage of the Republic of Poland. WHEN? 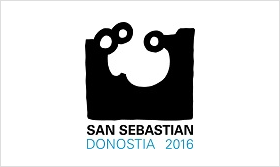 28 May 2016, at 4:00 p.m.